Hitchcock has been mentioned to be an auteuristic director, creating a style so powerfully associated with him that viewers know right away who the director is. Christopher Nolan is an example of a current auteuristic director. His style is so specific that almost everyone knows only a couple minutes into the film who directed it. 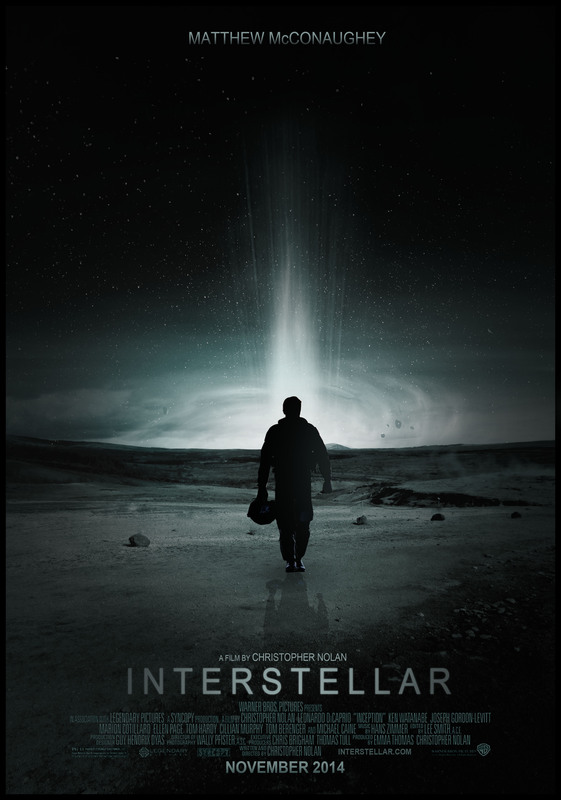 His works like The Dark Knight, Inception, and the new film Interstellar have a feel about them that makes it impossible to believe someone else could’ve directed it. Nolan incorporates things such as a psychological effect on the viewers and the internal struggle of characters throughout his work much like how Hitchcock incorporated motifs or underlying themes. Christopher Nolan is following in Hitchcock’s footsteps by creating a style that is recognizably his own. This entry was posted in Hitchcock Homage on December 1, 2014 by ldanby. Rope contains many elements that are now referred to as the “Hitchcockian” style. Hitchcock is famously the master of suspense, but there are many other little traits he places in each of his films that make it recognizably a Hitchcock film. This paper shows how Rope is a Hitchcockian film by explaining Hitchcock’s repetition throughout his work. In Rope there are three main characteristics that scream Hitchcock when you watch the film: the visual effects, reoccurring themes, and Hitchcock’s special ability to control his audience. The visual effects can be shown by the fact that this was Hitchcock’s first attempt with a color film, allowing him to emphasize things he wouldn’t have been able to in previous movies. For example, the transition from day to night is very significant to the plot and that effect wouldn’t have been the same in black and white. Rope is famous for its theme of homosexuality, which Hitchcock had a way of sneaking in to a lot of his films since it wasn’t acceptable at the time. And finally, Hitchcock’s control over his audience. In Rope Hitchcock takes over the audience in sneaky ways, such as having us hope no one looks in the wooden chest when we know what has happened is wrong. This entry was posted in Student Projects on December 1, 2014 by ldanby. Tobias Anderson made Nine Piece Rope by condensing the film Rope into a short two minutes and twenty four minutes. He took nine pieces of the film and put them in a random order to emphasize the unnoticed parts of the movie. By cutting, rearranging, and fast forwarding the film he brings to our attention just how vital the characters are to the scene. He creates an effect where what was the foreground in the film is now the background and vice versa. His work leaves us with an impressionistic feel and makes us think more about the film as a whole. This entry was posted in Hitchcock and Contemporary Art on December 1, 2014 by ldanby. After viewing Vertigo and taking in consideration the film techniques available at the time, I do believe Vertigo has earned its spot as number one. Vertigo was Hitchcock’s experiment with new visual imaging techniques that allowed him to give the viewers the full effect of a man suffering with this condition. While the movie has received some criticism from newer generations about the overall time of the film and how long it takes to get to the plot twists, this just increases the audience’s anticipation of the conflict to come, in creating the aura of suspense. Hitchcock doesn’t give away crucial plot points, making the audience predict and guess at the ending while in reality they will most likely be completely off. I know the ending with Judy falling off the tower, finding out the husband had planned it all along, and there never was anything going on with Madeline’s family history/ancestors was a shocker to me. Therefore I believe Hitchcock’s start of the suspense genre does deserve its spot on top. This entry was posted in Views on Vertigo on November 6, 2014 by ldanby. Hitchcock’s Shadow of Doubt shows Hitchcock’s true feelings about families as a whole when he introduces the Newton family and their inner turmoil. “Like everything else in Hitchcock, the family is not innocent:…” (McLaughlin). In this particular family the relationship between Uncle Charlie and Charlie comes off as something more than just an uncle, niece relationship. Throughout the film Hitchcock adds actions and word choice that make it even more apparent that this is something more, for example the gift of the ring. “This unhealthy, unholy union – it is as if they are getting married – of her and her uncle..” (McLaughlin). This gift of a ring in itself makes the audience uncomfortable but the fact that it is the ring of Uncle Charlie’s victim adds a new level to this disturbed family dynamic. Hitchcock uses Uncle Charlie to demonstrate his view on the corrupt American families. McLaughlin, James. ” All in the Family: Alfred Hitchcock’s Shadow of a Doubt.” In A Hitchcock Reader, 145-155. 2nd ed. Wiley-Blackwell, 2009. This entry was posted in Hitchcock Themes on October 17, 2014 by ldanby. After viewing The Lodger and Blackmail it is clear that Hitchcock has his own set of motifs that can be directly associated with Hitchcockian style. 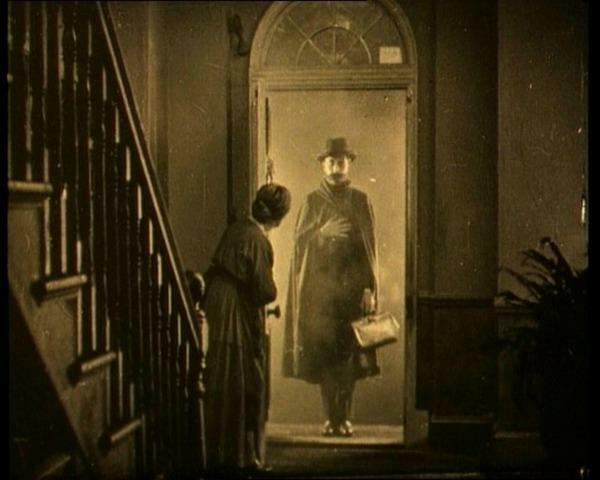 One of his most famous motifs that he’s already showcased in The Lodger and Blackmail is the staircase. Hitchcock uses the staircase in The Lodger as a way of showing the audience the different levels of society each character is in. While the lodger is from a higher social class he is upstairs, and Joe and Daisy’s family are downstairs, symbolizing them as the lower working class. The staircase is used to show how the lodger comes down from his class to find this woman and bring her back up with him. 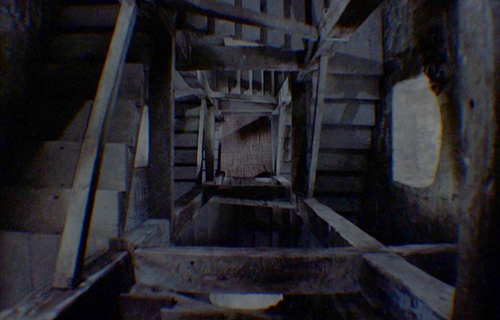 The staircase is also used in Blackmail when Hitchcock built a special set just so the audience could watch the two climb the stairs in suspense of what will happen next. The staircase is an important motif which shows a beginning to the Hitchcock style as a whole. This entry was posted in Silent to Sound on September 16, 2014 by ldanby.